The raging Class II rapids of the Cacapon River, which flows along the eastern panhandle of West Virginia, hooked Doug Woodward on whitewater paddling. The year was 1959 and the Georgia Tech student convinced his roommate to brave the wild West Virginia river. 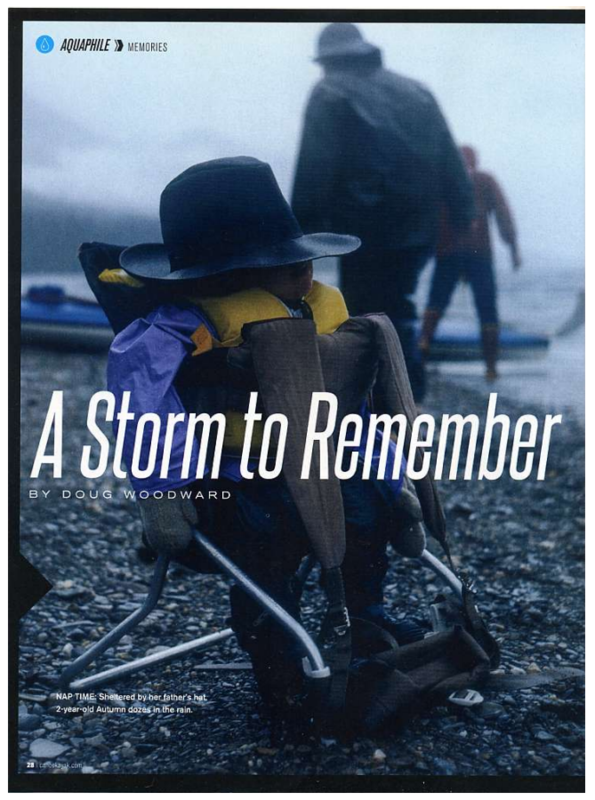 It was this experience that captivated Woodward and set him on course to become an expert paddler. 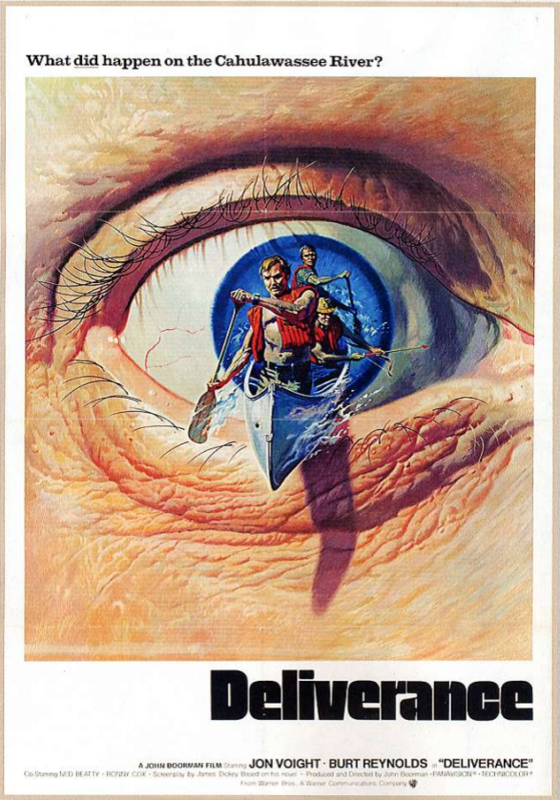 His expertise would land him a job as a stunt man for the 1972 film Deliverance and later led him to teach paddling to former President Jimmy Carter. “It really grabbed me,” Woodward, who lives in Macon County, said about his first canoeing experience. After that Woodward he always wanted to be out on a river paddling. “I would grab anyone willing to go — experienced or not,” he said. Whitewater and outdoor enthusiasts can relive Woodward’s tales in his book, Wherever Waters Flow. 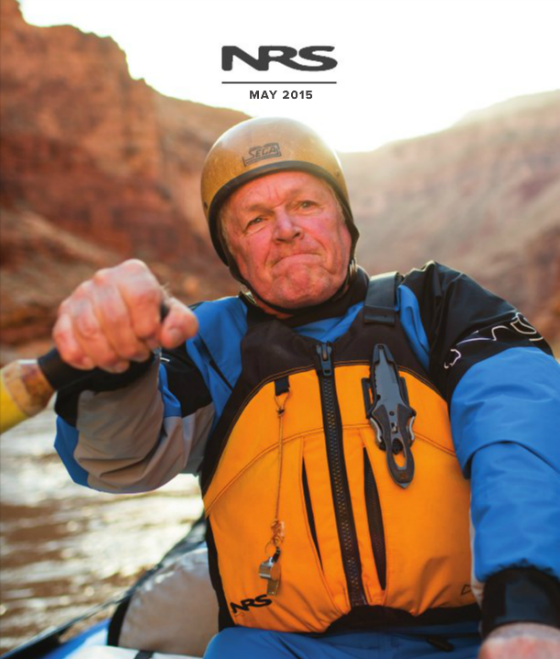 The 71 year-old writes vividly about his many kayaking adventures on rivers such as the Chattooga in Georgia or the Noatak in Alaska. With encouragement from his six children — Cricket, David, Autumn, Forest, Rivers and Canyon — he decided to put his memoirs on paper. 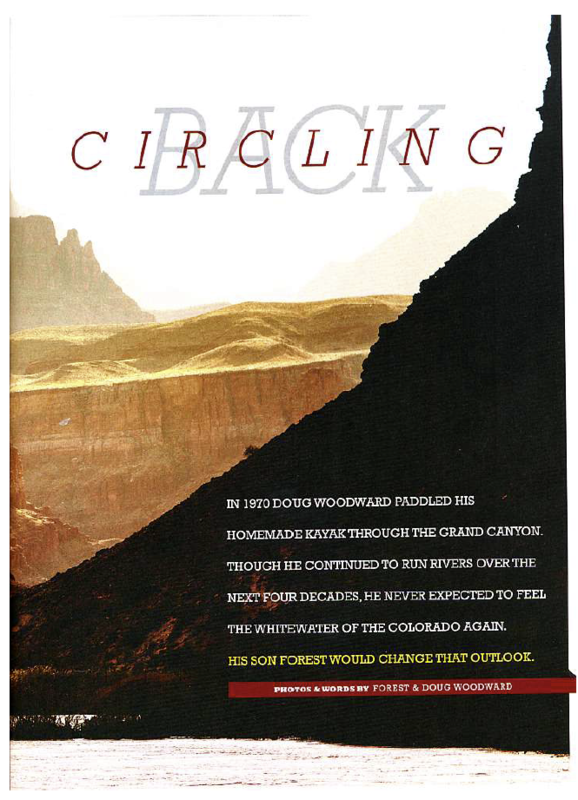 Since publication, Woodward’s book has been awarded the 2007 bronze medal as Best Regional Non-Fiction in the 11th Annual Independent Publisher Book Awards. 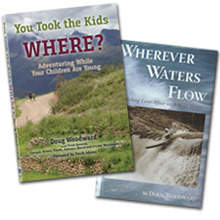 The book has also been named the Whitewater Book of the Year by the National Outdoors Book Awards. 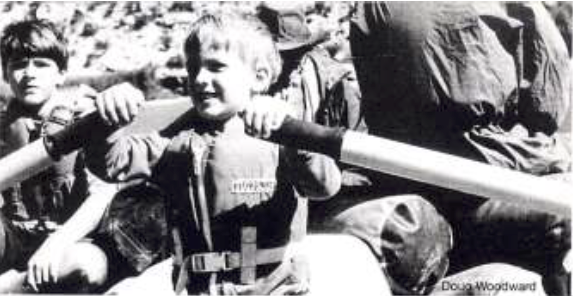 Woodward’s love for kayaking has inspired many children and adults to take up the sport. After returning from a 7,000-mile cross-country road trip where he kayaked the Colorado River through the Grand Canyon, Woodward decided to leave Maryland and move to Georgia. By the time James Dickey’s book Deliverance was published, Woodward — along with his two rafting buddies Payson Kennedy, founder of the Nantahala Outdoor Center, and Claude Terry, founder of Southeastern Expeditions — were spending their days running the rapids of the Chattooga River. When Warners Brothers was scouting out a site to film the movie, the Chattooga River was mentioned. Once the decision was made to film at that location, Woodward, Terry and Kennedy became stunt men and technical advisors to the crew. Woodward said it was a lifechanging experience. “We pulled more raft skins out of the river — the debris of unprepared folks,” he said. Carter rafted with Woodward on all three sections of the Chattooga River. “I don’t remember who the raft guide was, but I remember him being dumped into the falls,” Woodward said of the experience. 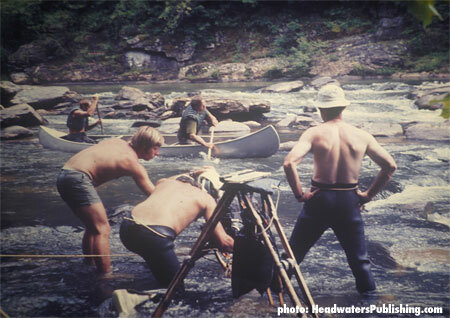 Rafting with the then governor was a memorable experience for Woodward.